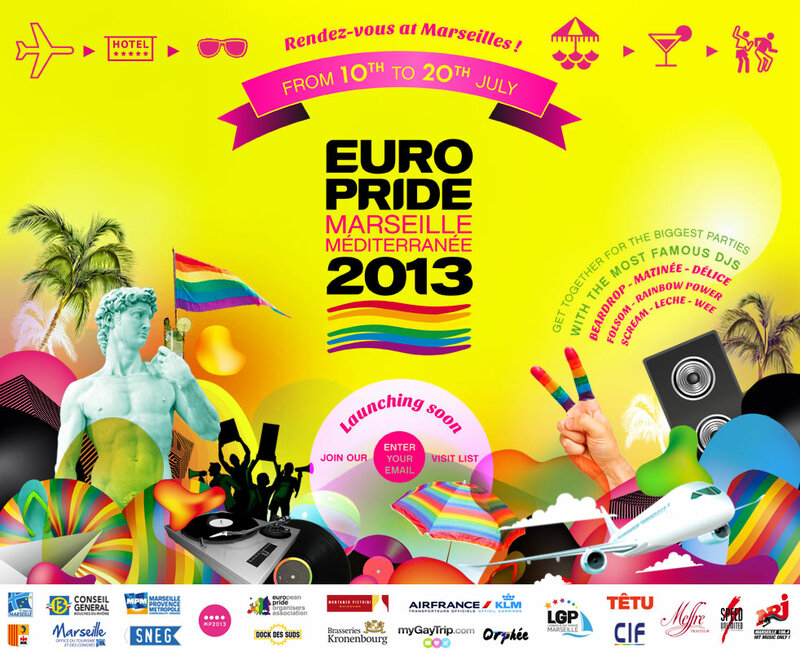 Start making your travel plans now, because EuroPride 2013 next July 10 - 20th in Marseille is going to be nothing less than spectacular! During the extended weekend I spent as one of the guests of LGP Marseille, the large amount of information we received throughout our time was meticulous and done with care and full consideration for those planning to attend EuroPride 2013 and if it is any indication of what is to come, then this is going to be one massive event! After many years of going to various Pride events I have always heard the word “inclusive” being used, then when the time comes, there is always a margin of people who tend to be priced out of the celebrations in some capacity. This doesn’t seem to be the case for Marseille’s EuroPride 2013. Taking in account the current world economic climate, various hotels, restaurants, shops and travel agencies have all come together to offer special price packages to suit everyone’s budget so that no one misses out on any of the festivities. This time I believe everyone will be able to join in the fun and everyone will benefit. 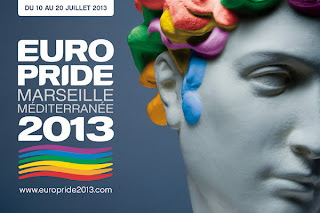 Keeping EuroPride 2013 affordable is the main objective. LGP Marseille is planning for ten days (eleven nights) of huge parties (presented by: Delice Dream, Beardrop, Rainbow Power, Matinee Group, etc.). 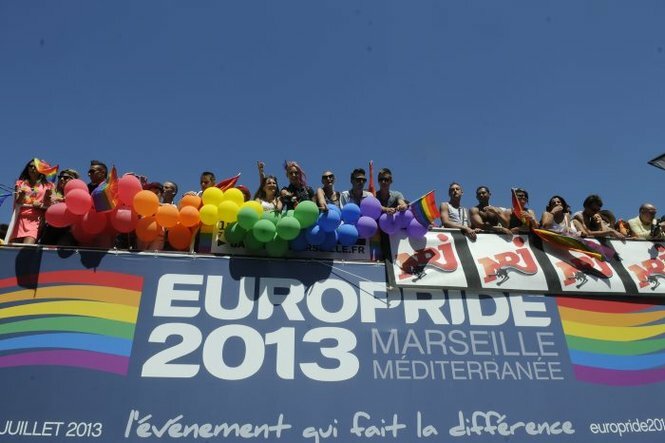 There will also be the EuroPride Parade, approximately fifteen conferences, various workshops, many free events and sports activities held not in one particular area of the city but throughout the city so that you are able to discover the different facets of Marseille itself. 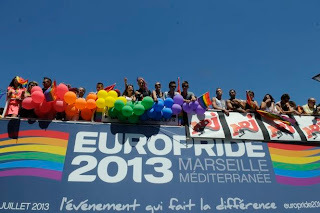 EuroPride Park: Cultural and military area in Friche de la Belle de Mai, where there will be expositions, military stands, conferences, debates, cinema projection, theatre, etc. EuroPride Beach: For the first time in EuroPride history there is going to be a beach completely dedicated to the festival, expect all types of beach and water games events to take place! What I was particularly intrigued about was the main system that is going to be used for purchases for EuroPride 2013, the Tick’N Pay electronic wristband system. I think the Tick’N Pay system will be groundbreaking in many ways and for following EuroPride’s to come. Don’t you hate it when you go to a big event and you spend what seems to be half of your night waiting in line to purchase drink tickets, then having to get into another line to get your drink? And if you’re like me, you end up going home with a bunch of unused drink tickets and left feeling like you’ve just wasted a bunch of money. Well the Tick’N Pay system is a safe and secure chip wristband electronic wallet system that you will be able to get through the EuroPride 2013 website. With your wristband you are given a personal pin code (like a bank card) in which you will be able to purchase not only drinks at a participating bar, club or event but also for the basics like public transportation, items at participating shops, restaurants, hotels and even your overall travel. The amount you deposit online into your wristband will be the amount you can use so that you control your spending and are able to recharge anytime, another good thing…you will not incur any credit card fees to do so. Your credit card can be secured through your participating hotel during the trip so there is no need to carry cash to the beach or late at night going from party to party. At the end of your visit, any amount that has not been used on your wristband goes directly back to you. Another bonus arranged with EuroPride 2013 in Marseille is when you purchase 100 euros; you get 110 euros to spend. There are benefits to everyone involved, you for your budget, safety and security, benefits for the participating businesses involved (in which over 100 have registered so far) and benefits for EuroPride 2013 itself in being able to use this system to get statistical information, accounting will be easier, faster and more accurate, and less volunteers are needed to control the entries and the cash in this very safe and secured cash management system. 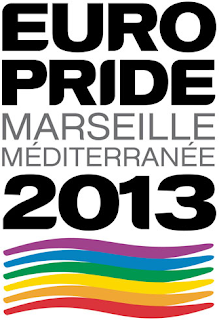 What could be better than spending EuroPride 2013 Marseille in the Mediterranean? With all the hard work and efforts being put into place, something tells me that these ten days in Marseille are going to be nothing less than powerful and life changing events.